Clean desks, bright floors and empty baskets are things you can easily notice once she leaves the office, yet it is not everything. The cleaning woman Badr Zakaria, spreads positive vibes whenever she enters a room, which makes her well-known and popular among the SEKEM employees. “I like talking to people and asking them if I can help them with something they need,” says the cheerful lady. The 37-years-old is working at SEKEM since 2012. Besides cleaning, Badr is responsible for the waste separation at SEKEMs Head Office. 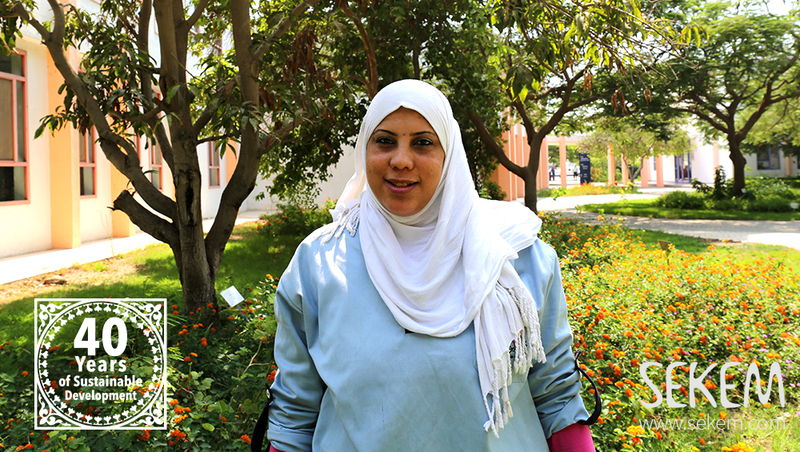 “We, the cleaning workers at SEKEM are trained to separate the trash professionally,” she explains. “There are recyclable items, disposable ones and others for further processing – we sort them from each other. This contributes to keeping the environment clean,” says the committed SEKEM co-worker. SEKEM has a waste management strategy since its very beginning – a strategy, which aims to maintain a sustainable ecological development and hence, every SEKEM member is involved in fulfilling its objectives. “In every corner at SEKEM, there are three different-colored wastebaskets. Each of them is provided for a special kind of trash, either plastic, metals or papers. All the employees are committed to throw the right trash in the right basket,” Badr explains. The mother of a son and a daughter had worked as a chef assistant in a famous patisserie shop before joining SEKEM and even before getting married. “I had to quit my job there after my marriage, because the shop’s policy precludes hiring married women,” Badr recounts. 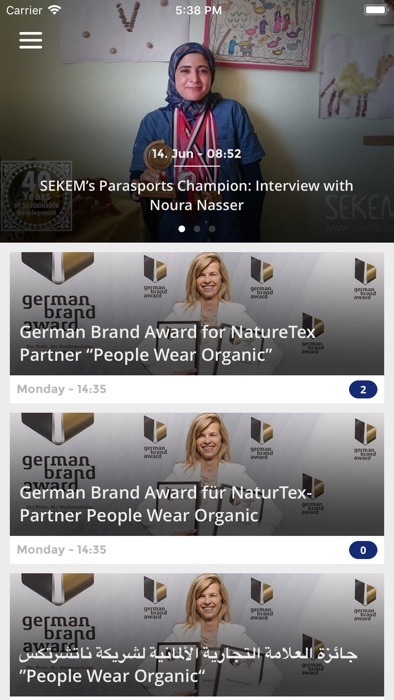 “SEKEM is to the contrary – it supports the female co-workers, especially the mothers of them by facilitating their working hours and enhancing the working environment in order to help them combining their job and families,” she asserts. The morning circle at SEKEMs head office. 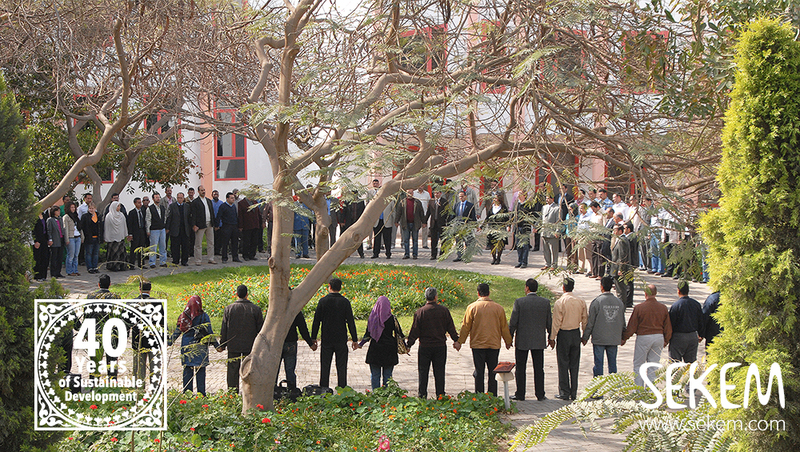 Together with her colleagues, Badr attends the morning circle at SEKEMs head office every day: Managers, seniors, juniors and the service personnel stand next to each other expressing with influential words SEKEMs Vision and metaphorically portraying equality. “I wish SEKEMs concept of equality would spread all over Egypt. Because then, everyone would understand that we all deserve equal chances in life and hence no one would be excluded,” Badr Zakaria remarks.